The video equivalent of the image-enhancement stills photographers carry out on their images. Videographers ‘grade’ video to match the colours and exposures between clips, to create a certain ‘look’ or to edit video shot in a ‘log’ mode for extra dynamic range. 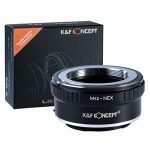 This is the lens mount for Fujifilm’s X-series mirrorless cameras. These include the Fujifilm X-T2, X-H1, X-E3 and others. 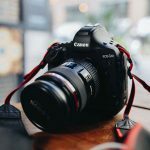 Any X-mount lenses can be used on any X-mount camera, though note that Fujifilm’s medium format GFX 50S uses a different mount and different lenses.